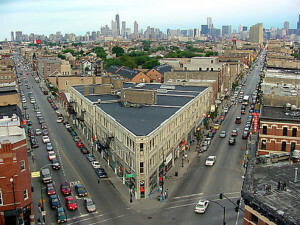 Bucktown is a neighborhood located directly north of Wicker Park and east of the Logan Square. Its boundaries are Fullerton Avenue to the north, Western Avenue to the west, North Avenue to the south and the Kennedy Expressway to the east. Bucktown gets its name from the large number of goats raised in the neighborhood during the 19th century when it was an integral part of the city’s famed Polish Downtown. The original Polish term for the neighborhood was Kozie Prery (Goat Prairie). The male goat is “buck” and the new “town” make for a catchy moniker that fit in with the Americanization of the locale. Bucktown is primarily residential with a mix of older single family homes, new builds with edgy architecture and converted industrial loft spaces. Housing prices in Bucktown have been on the rise in the last few decades as gentrification has changed the character of the neighborhood from working class and bohemian to upwardly mobile. CTA buses run on Fullerton Avenue, Armitage Avenue, North Avenue, Western Avenue, Damen Avenue, Ashland Avenue and Milwaukee Avenue. CTA Blue “L” train stop at Damen, Western, California and Logan Square. Many side streets require permit parking and most major streets charge for parking. Taxis is plentiful throughout most of the day and night. 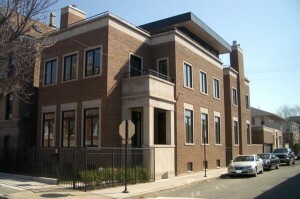 Bucktown is served by the Chicago Public Schools which operate a number of schools in the area. Damen Avenue from Fullerton Avenue on the north to North Avenue on the South runs through the heart of Bucktown and serves as the neighborhood’s primary commercial corridor. You can nosh, drink and shop to your hearts’ content. The busiest intersection of Bucktown is the three way at Milwaukee/North/Damen and it is high traffic at all times of the day and night! Given its bohemian background, Bucktown hosts a variety of festivals showcasing local artists including Around the Coyote and the Bucktown Arts Fest. Interested in checking out local backyards? Bucktown Tree and Garden Walk is just for you. The neighborhood’s origins are rooted in the Polish working class which first began to settle in the area in the 1830s. A large influx of Germans began in 1848 and in 1854 led to the establishment of the town of Holstein which was eventually annexed into Chicago in 1863. 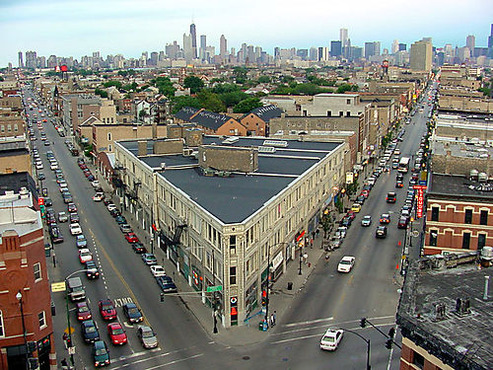 In the 1890s and 1900s, immigration from Poland, the annexation of Jefferson Township into Chicago and the completion of the Logan Square “L” stop contributed to the rapid increase in Bucktown’s population density. Latino migration to the area began in the 1960s with the arrival of Cuban, Puerto Rican and later Mexican immigrants. Puerto Ricans in particular concentrated in the areas along Damen and Milwaukee avenues through the 1980s after being displaced by the gentrification of Lincoln Park that started in the 1960s. In the last quarter of the 20th century, a growing artists’ community led directly to widespread gentrification, which brought in a large population of young professionals to Bucktown.